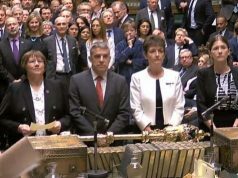 Tuesday had been touted as a possible day for the third coming of the meaningful vote on Theresa May’s Brexit deal, following heavy defeats in January and just a fortnight ago. But the DUP, whose support is key if she has any chance of getting it through the Commons, kiboshed that idea earlier and she announced it would not happen tomorrow. With no sign that the Prime Minister is prepared to abandon the plan it means she is likely to spend the day trying to hammer out a deal with anyone receptive – if they exist. 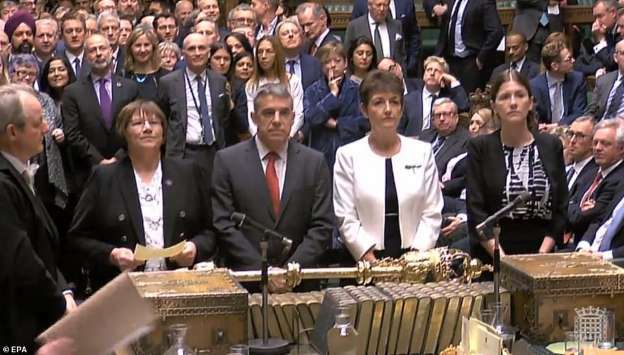 The Commons is set to vote tonight to let MPs take control of Brexit. They are likely to hold a series of indicative votes on Brexit alternatives this week, most likely on Wednesday. The alternatives include a softer Brexit, a second referendum or leaving with No Deal. If one commands a majority, MPs will try to pressure Theresa May into adopting that option. But there is no binding way of making her do so. If the Commons votes against taking control in tonight’s vote Mrs May said she will make Government time available for some similar votes – which could be on Wednesday. Though some MPs remain sceptical. May is likely to try and pass her Brexit deal a third time, after the EU offered a Brexit date of 22 May if she does so this week. The Prime Minister will use threats that MPs will take control and force a softer Brexit in an attempt to force Brexiteer rebels to finally back her. She may also offer them a date when she will quit in return for their support. Thursday is the most likely day for her vote, but there is a chance she won’t hold it if she still does not believe she’ll win.